Uncork’d Entertainment’s ‘St. 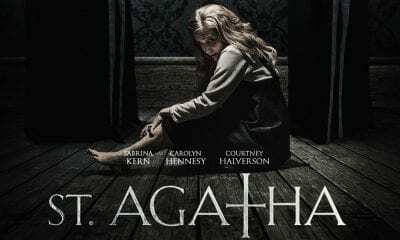 Agatha’ which arrives on Digital HD, Theaters, and On Demand on February 8th, 2019. Sabrina Kern, Carolyn Hennesy, Courtney Halverson, Trin Miller, Lindsay Seim, Hannah Fierman and Seth Michaels star.